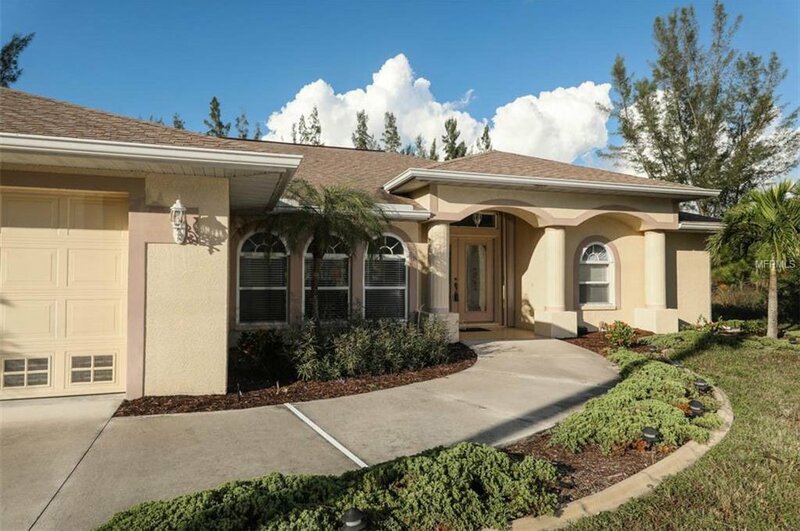 This lovely and well maintained home has all you have ever wanted! 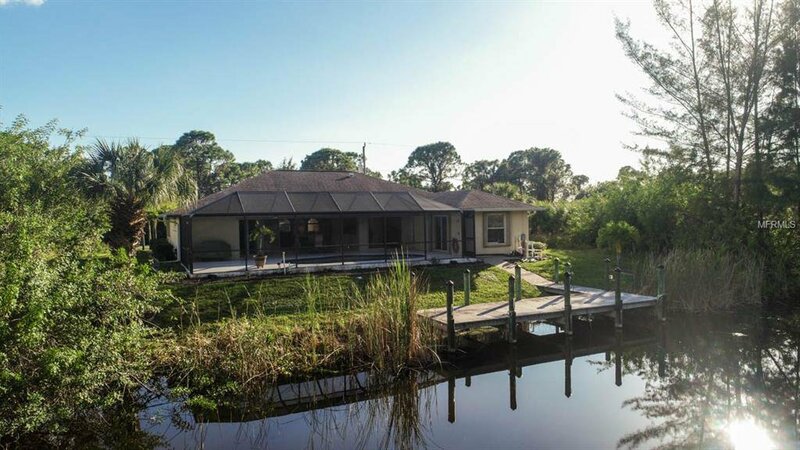 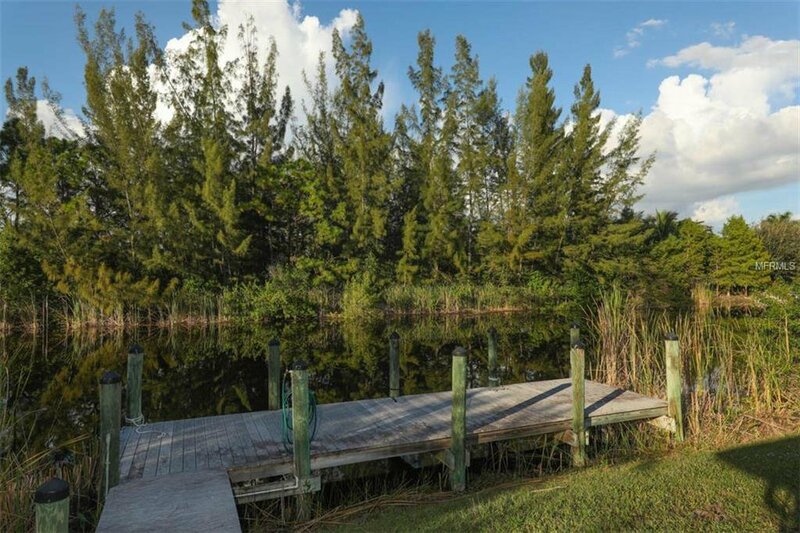 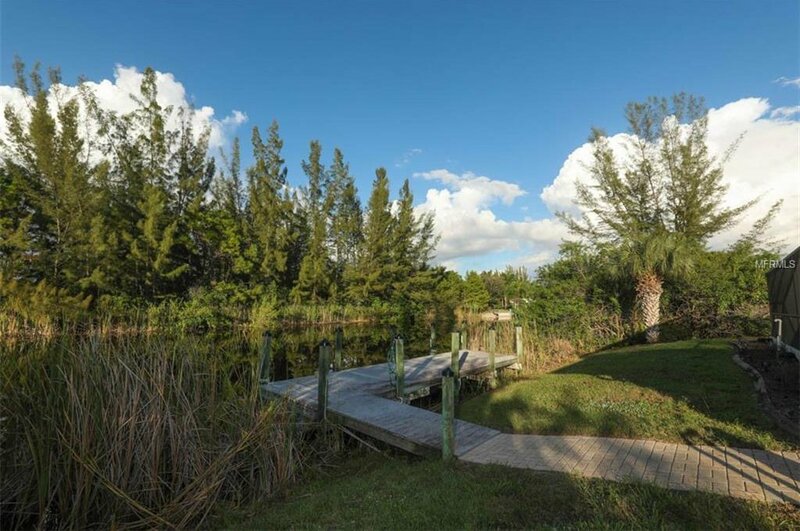 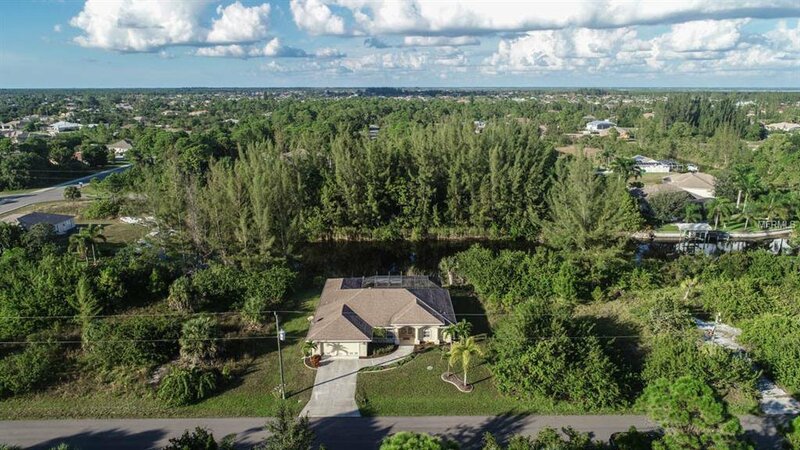 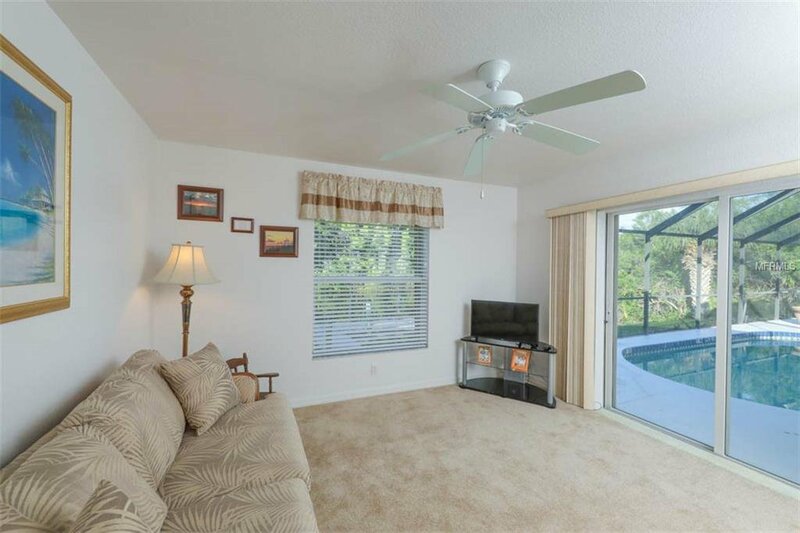 Located in a serene setting on the Staunton waterway in South Gulf Cove, this beautiful 3 bedroom pool home offers every comfort and amenity for enjoying the Florida lifestyle. 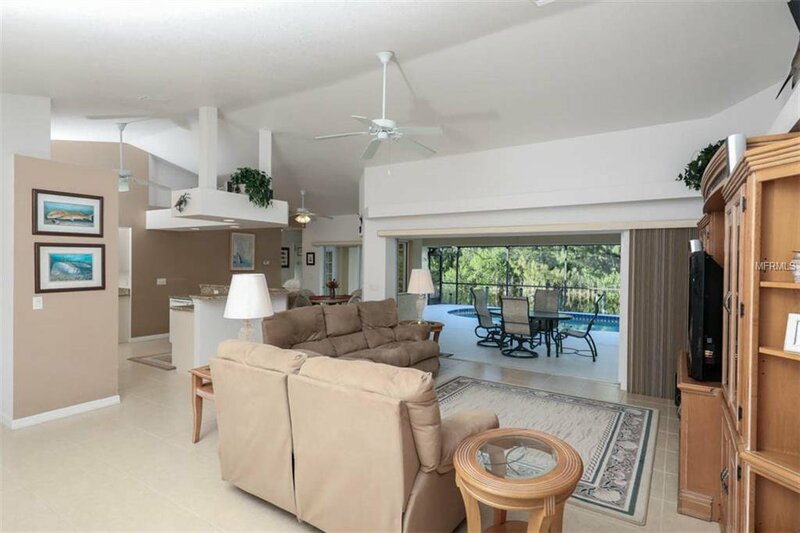 To direct your sight line as you enter, the living room has a wall of sliders that open up to the lanai and tranquil nature beyond! 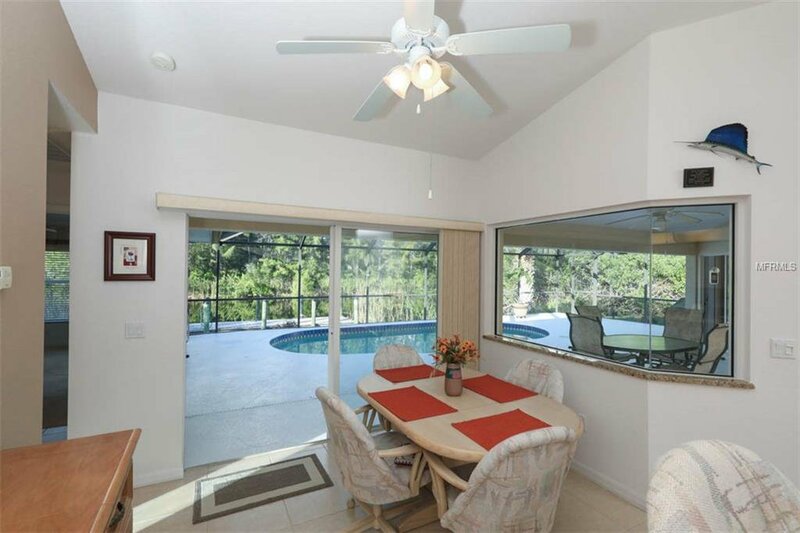 A separate dining room adjoins the main living area. 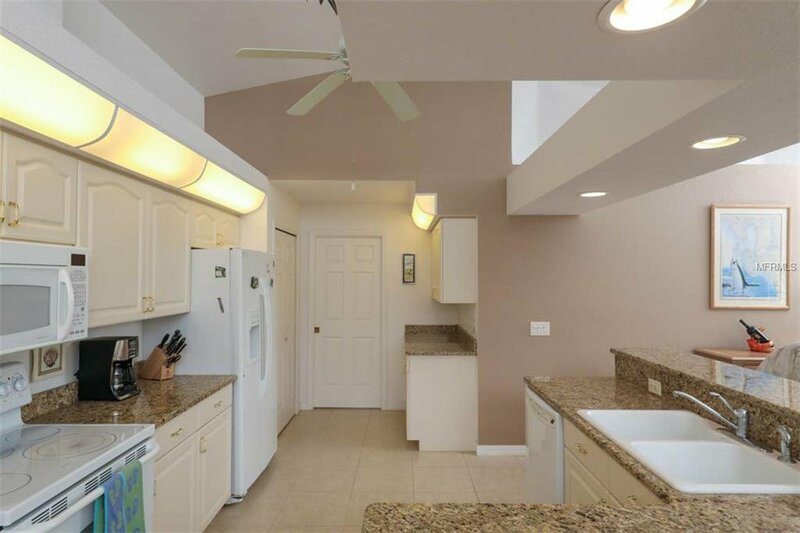 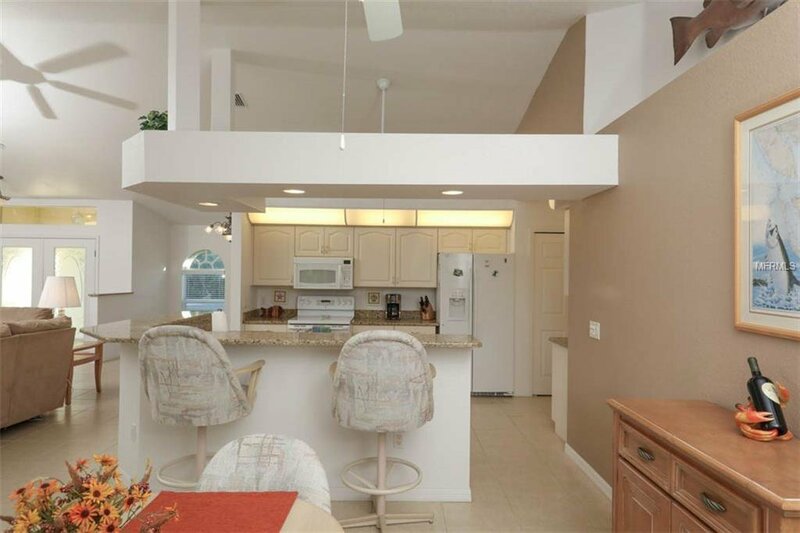 These flow to the spacious and fully equipped kitchen, which includes 14’ of breakfast bar! 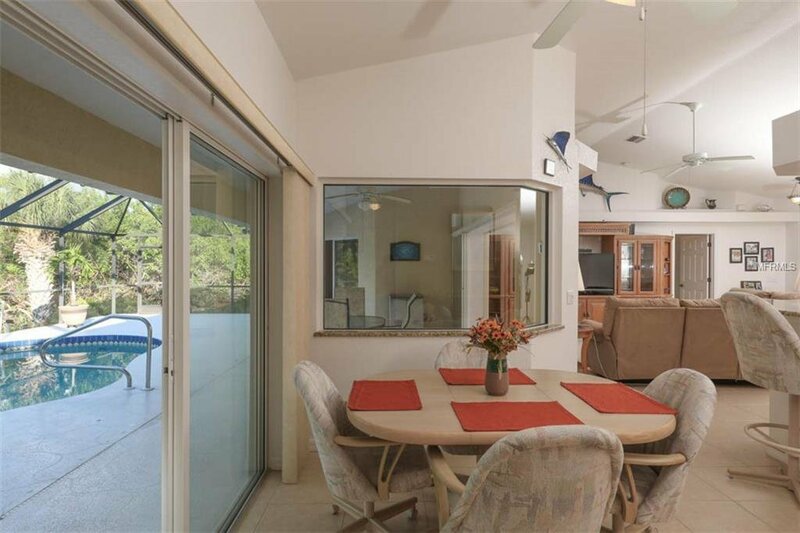 And once again that beautiful view is included as another full set of sliders opens to the lanai and aquarium glass highlights the breakfast area. 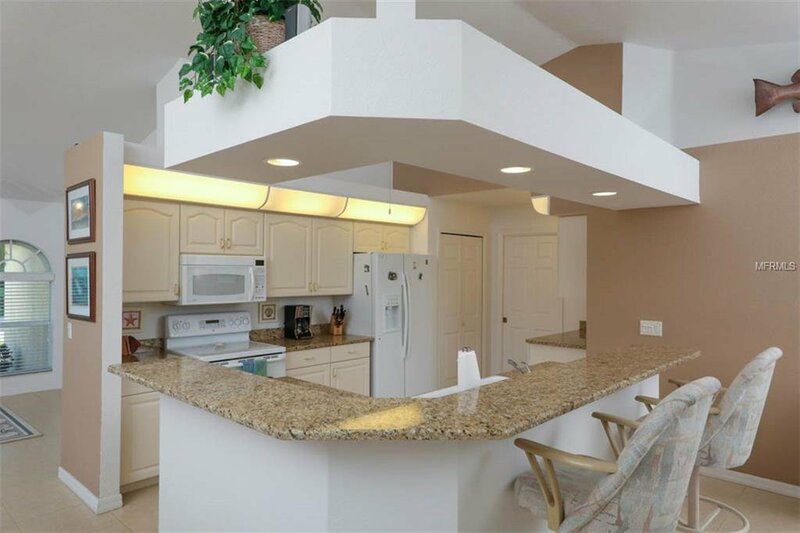 You may never get up from that morning cup of coffee! 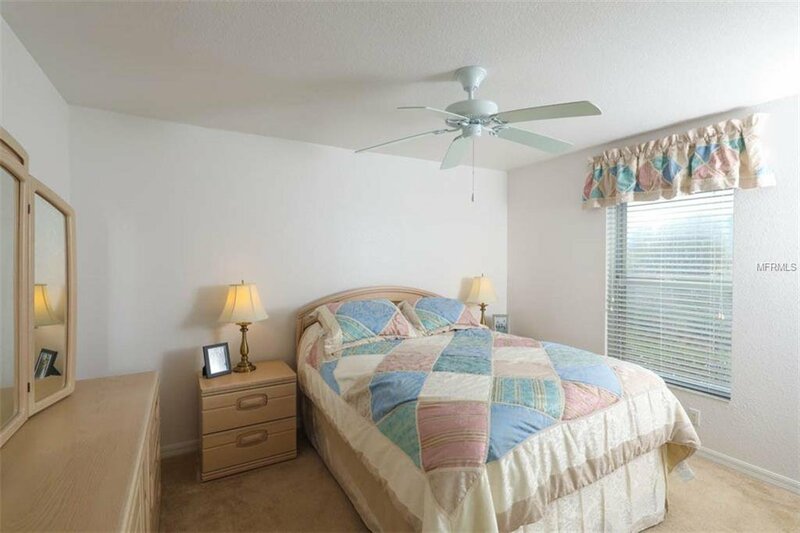 The master bedroom is roomy and comfortable with a lovely ensuite featuring a glass block shower. 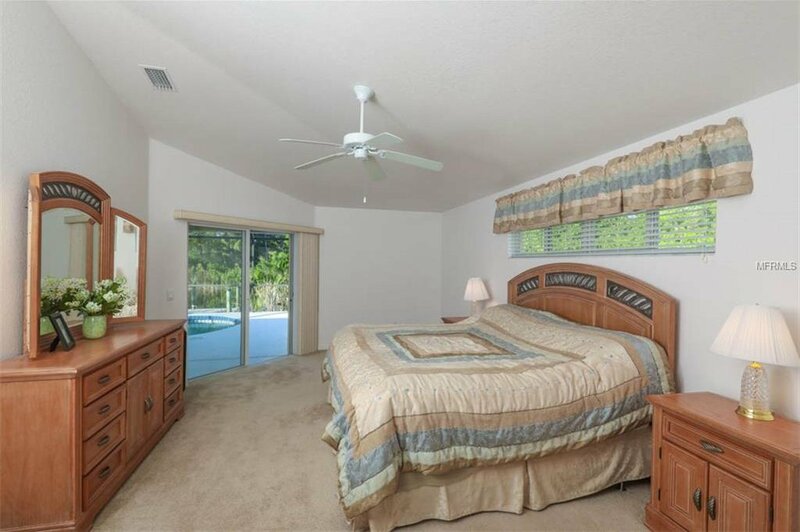 This master suite can be closed off by a separate door. 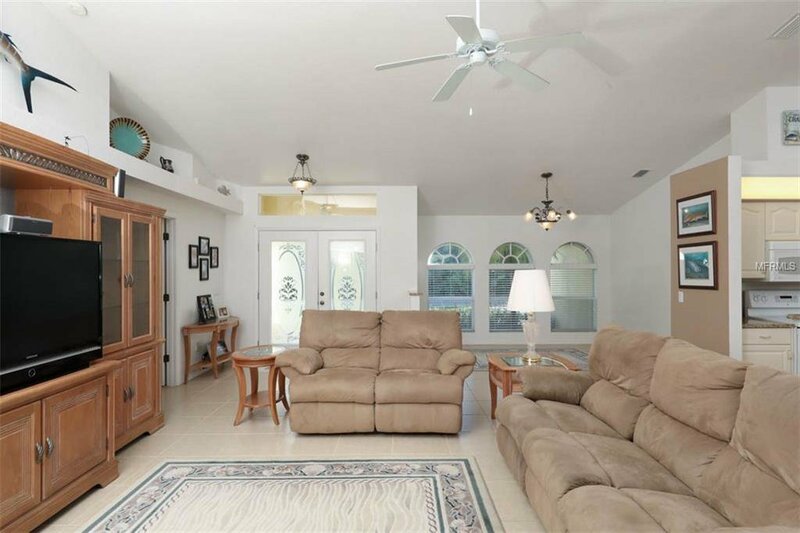 The guest bedrooms in this split floor plan are also roomy and welcoming. 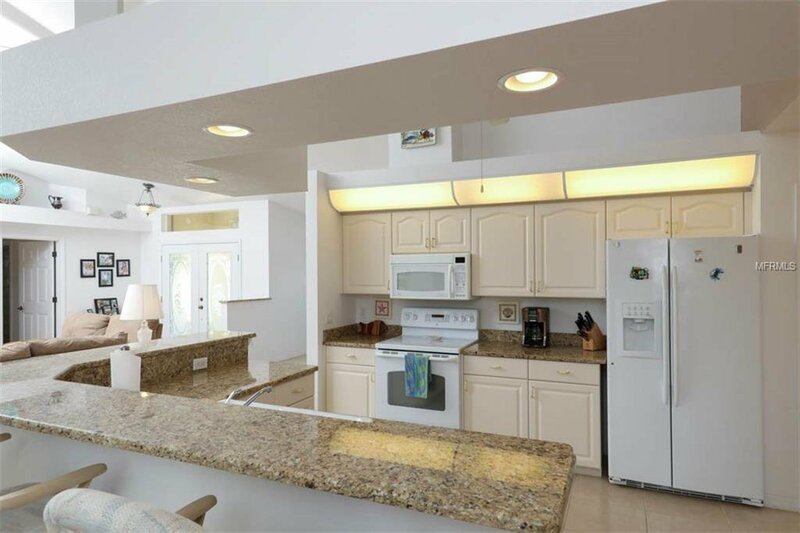 Alarm system, central vac, full storm protection – just a few of the practical components. 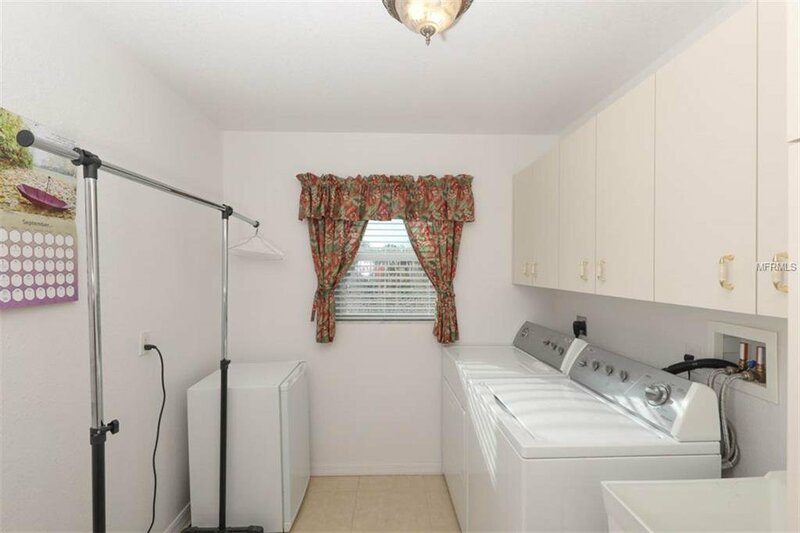 NEW A/C 2019. 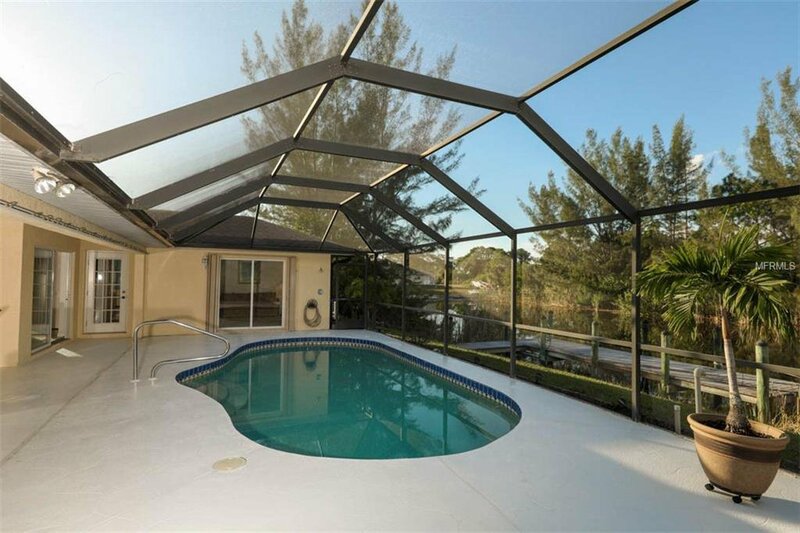 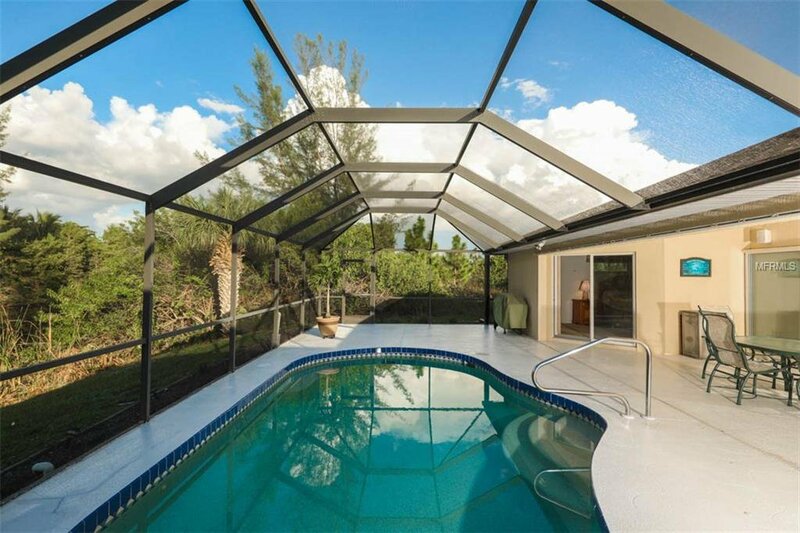 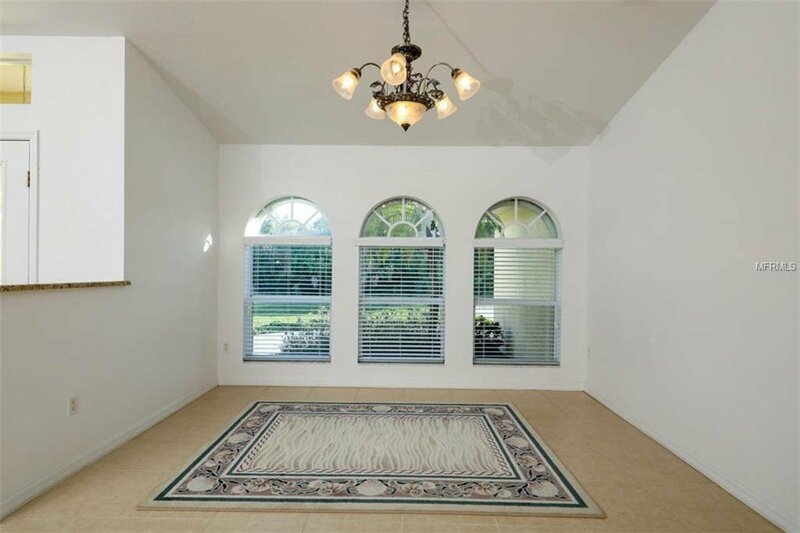 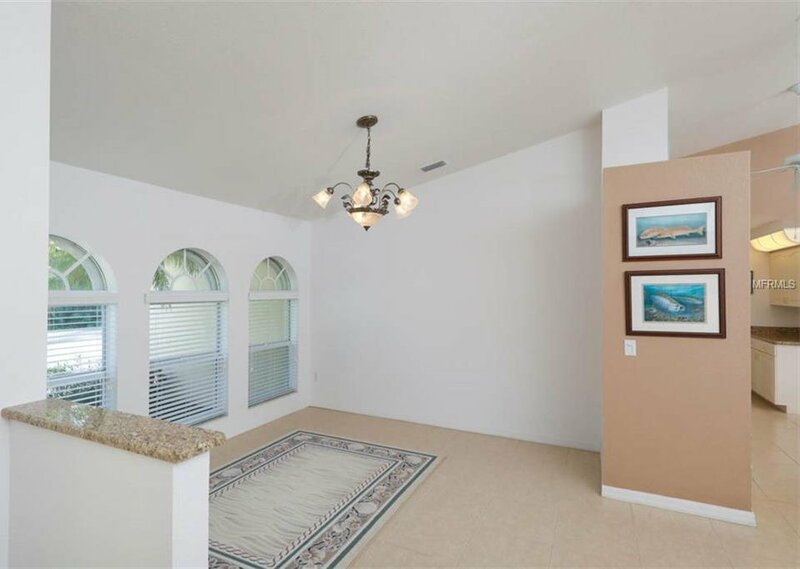 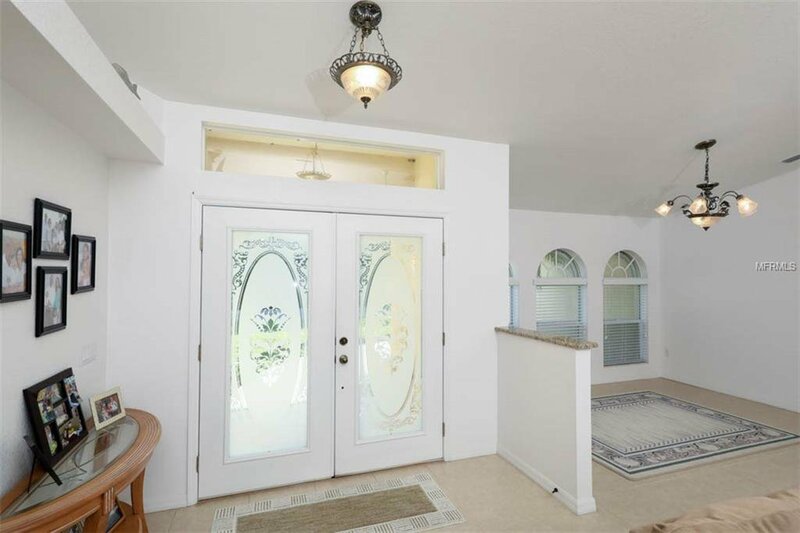 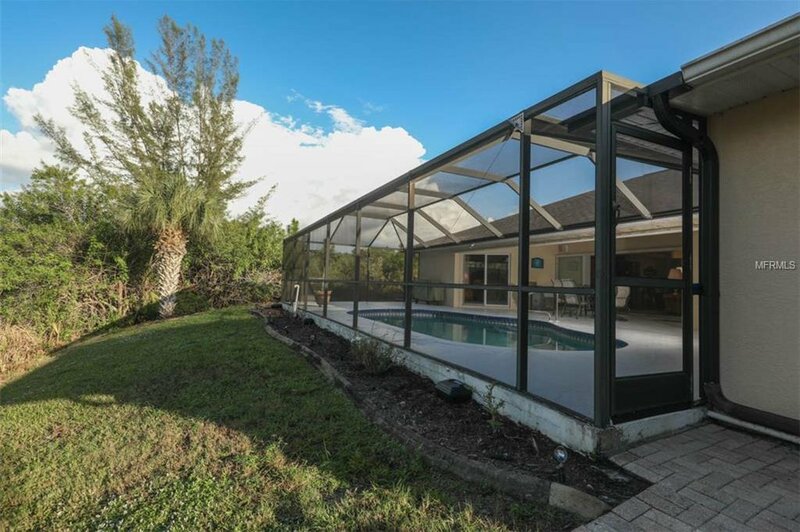 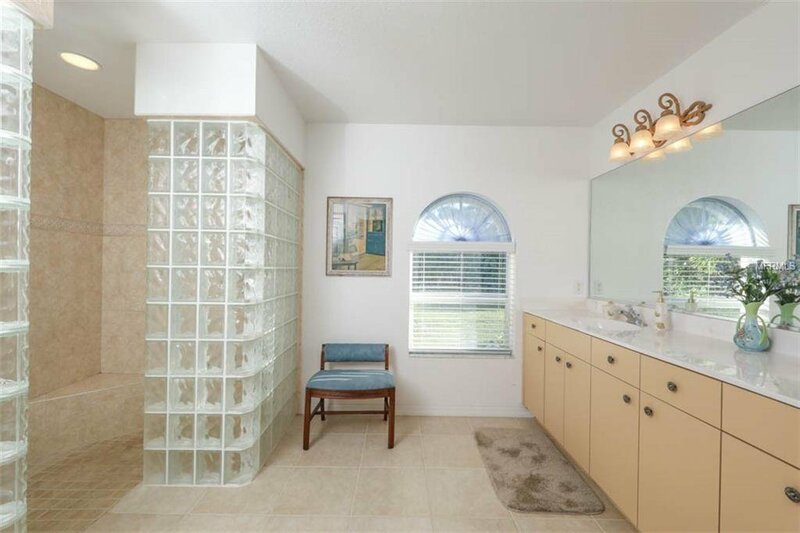 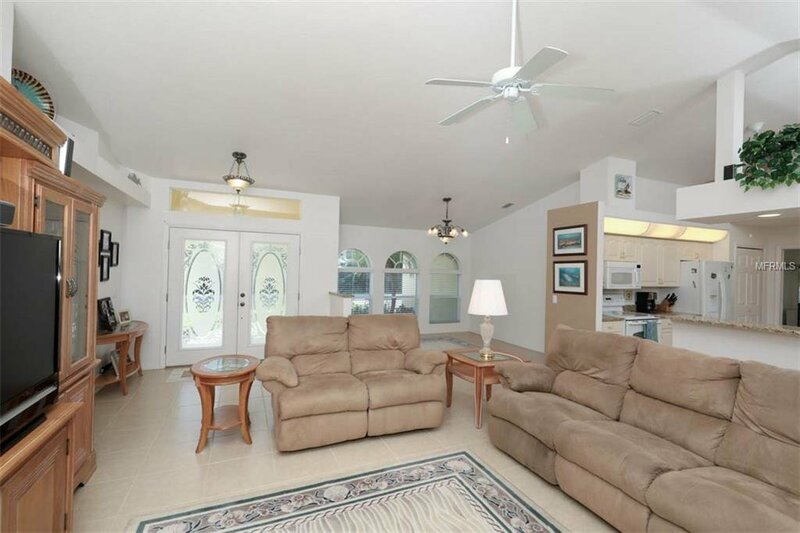 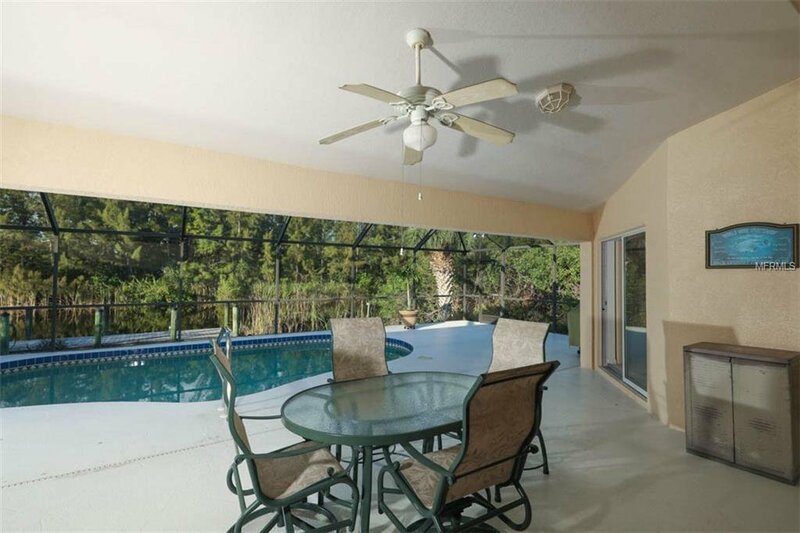 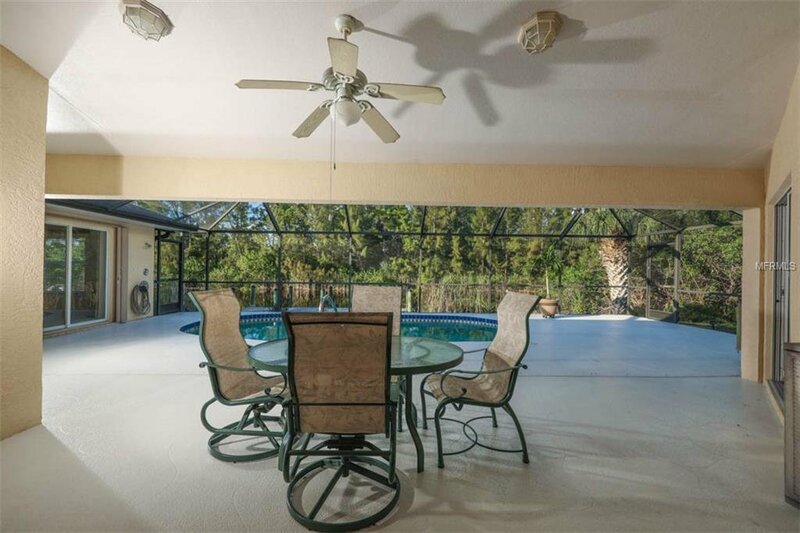 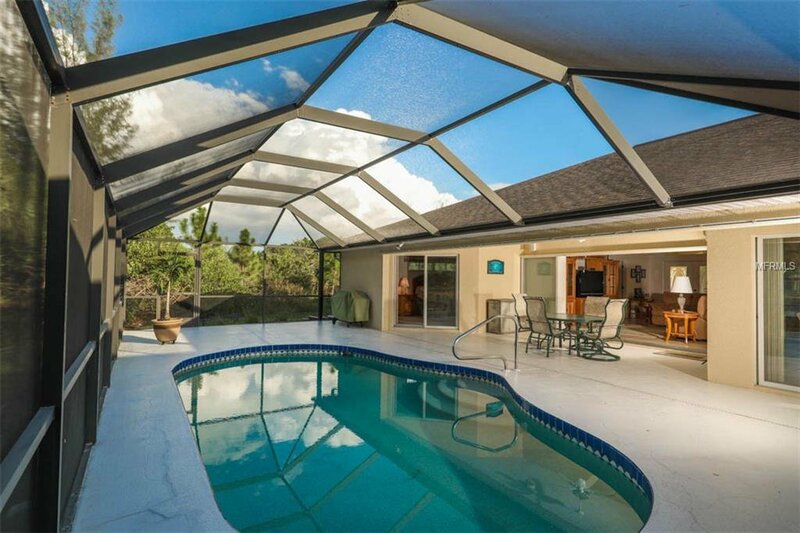 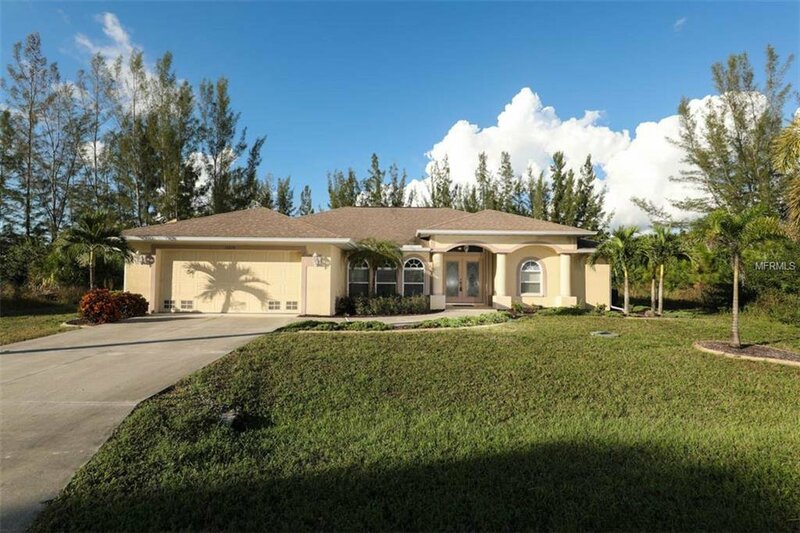 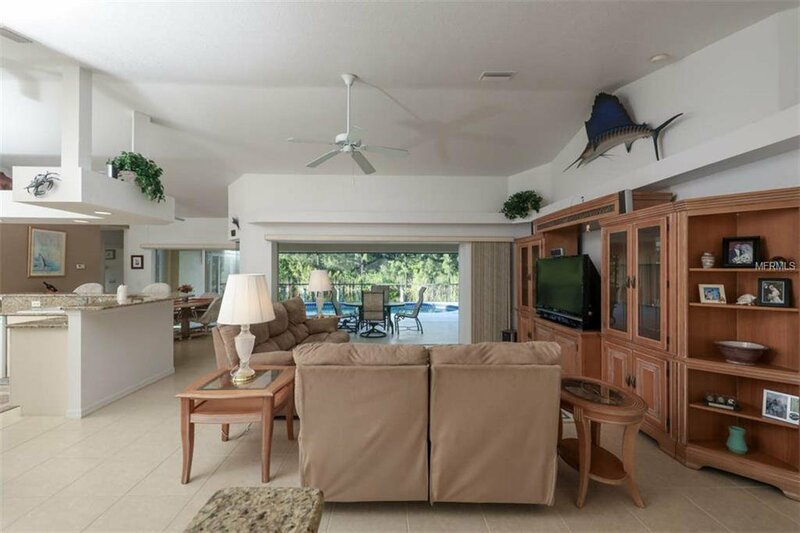 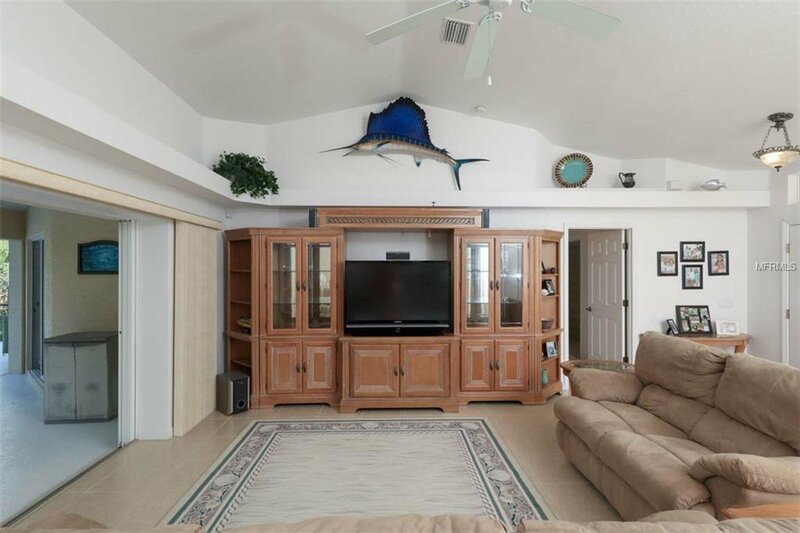 Your Florida living is complete on the large lanai and pool area. 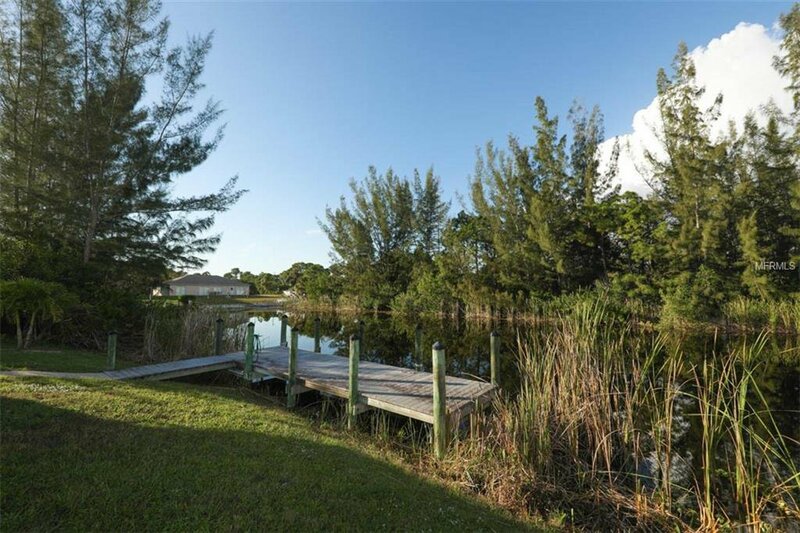 And just steps away is your boat dock! 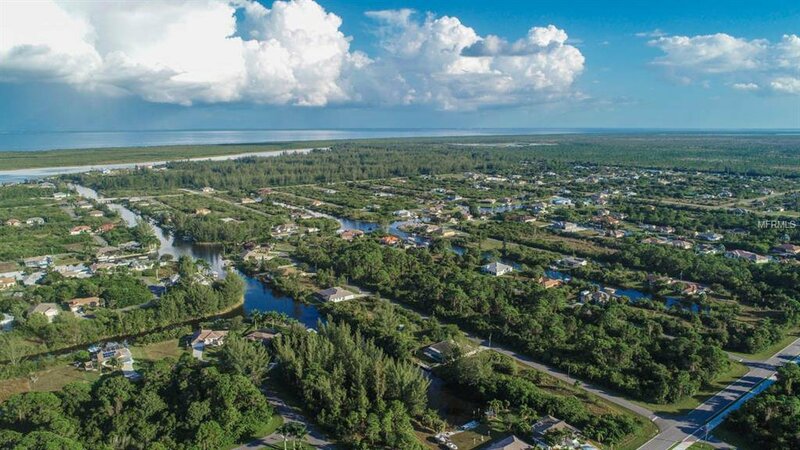 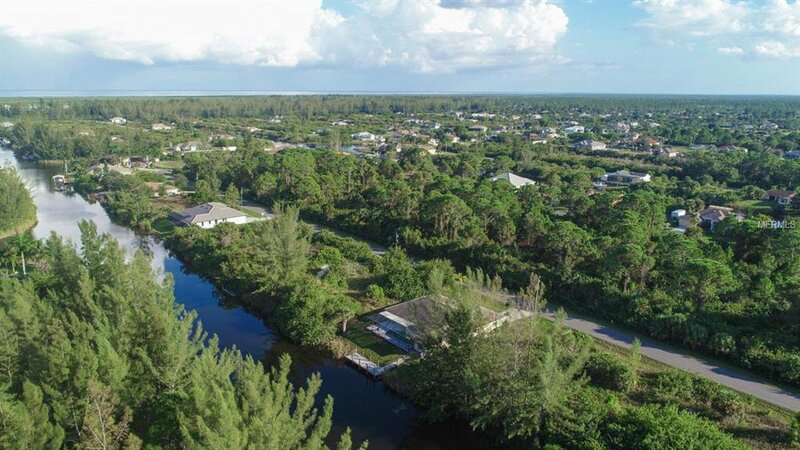 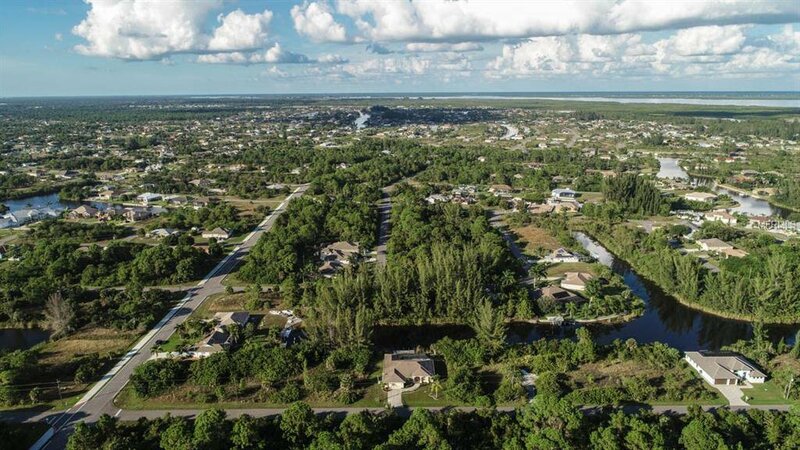 Set sail for a canal cruise or to the harbor and Gulf beyond! 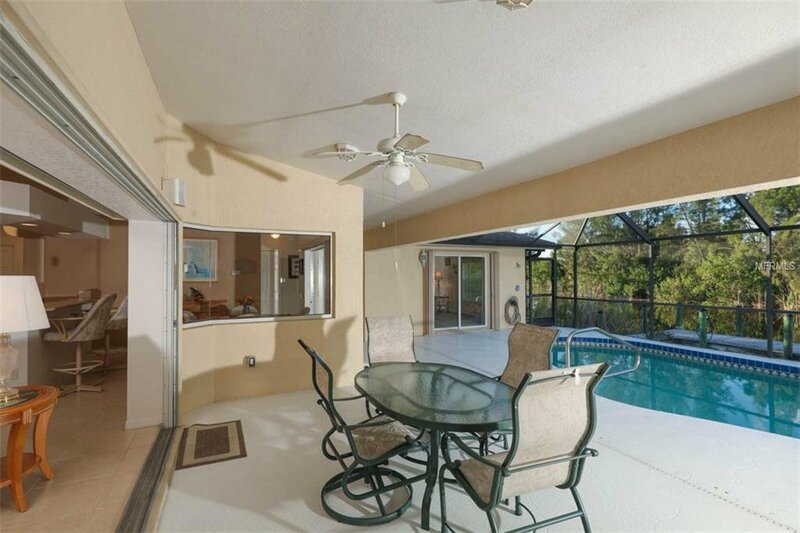 We invite you to scroll through the photos and attached videos to fully appreciate this home.